Ambient particulate matter (PM) pollution has been linked to elevated mortality, especially from cardiovascular diseases. However, evidence on the effects of particulate matter pollution on cardiovascular mortality is still limited in Lanzhou, China. 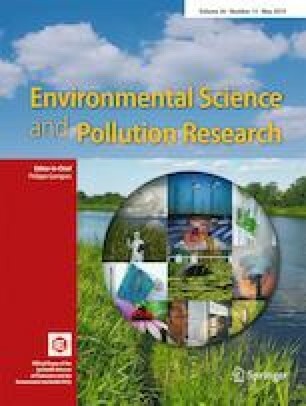 This research aimed to examine the associations of daily mean concentrations of ambient air pollutants (PM2.5, PMC, and PM10) and cardiovascular mortality due to overall and cause-specific diseases in Lanzhou. Data representing daily cardiovascular mortality rates, meteorological factors (daily average temperature, daily average humidity, and atmospheric pressure), and air pollutants (PM2.5, PM10, SO2, NO2) were collected from January 1, 2014, to December 31, 2017, in Lanzhou. A quasi-Poisson regression model combined with a distributed lag non-linear model (DLNM) was used to estimate the associations. Stratified analyses were also performed by different cause-specific diseases, including cerebrovascular disease (CD), ischemic heart disease (IHD), heart rhythm disturbances (HRD), and heart failure (HF). The results showed that elevated concentration of PM2.5, PMC, and PM10 had different effects on mortality of different cardiovascular diseases. Only cerebrovascular disease showed a significant positive association with elevated PM2.5. Positive associations were identified between PMC and daily mortality rates from total cardiovascular diseases, cerebrovascular diseases, and ischemic heart diseases. Besides, increased concentration of PM10 was correlated with increased death of cerebrovascular diseases and ischemic heart diseases. For cerebrovascular disease, each 10 μg/m3 increase in PM2.5 at lag4 was associated with increments of 1.22% (95% CI 0.11–2.35%). The largest significant effects for PMC on cardiovascular diseases and ischemic heart diseases were both observed at lag0, and a 10 μg/m3 increment in concentration of PMC was associated with 0.47% (95% CI 0.06–0.88%) and 0.85% (95% CI 0.18–1.52%) increases in cardiovascular mortality and ischemic heart diseases. In addition, it exhibited a lag effect on cerebrovascular mortality as well, which was most significant at lag6d, and an increase of 10 μg/m3 in PMC was associated with a 0.76% (95% CI 0.16–1.37%) increase in cerebrovascular mortality. The estimates of percentage change in daily mortality rates per 10 μg/m3 increase in PM10 were 0.52% (95% CI 0.05–1.02%) for cerebrovascular disease at lag6 and 0.53% (95% CI 0.01–1.05%) for ischemic heart disease at lag0, respectively. Our study suggests that elevated concentration of atmospheric PM (PM2.5, PMC, and PM10) in Lanzhou is associated with increased mortality of cardiovascular diseases and that the health effect of elevated concentration of PM2.5 is more significant than that of PMC and PM10. The online version of this article ( https://doi.org/10.1007/s11356-019-04742-w) contains supplementary material, which is available to authorized users. This study was supported by the Fundamental Research Funds for the Central Universities (lzujbky-2018-kb17).